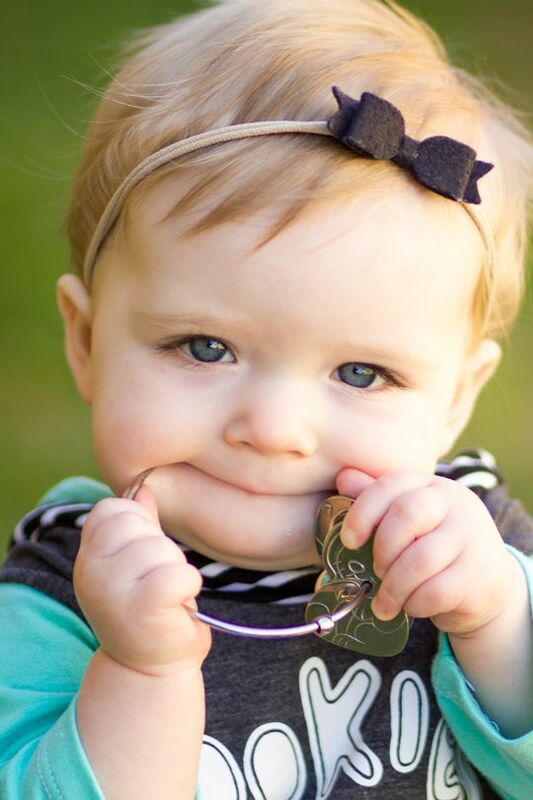 Babies and toddlers love keys. It’s a universal fact! But keys are dirty, sharp and generally toxic too… Enter Kleynimals – or clean key animals! A mum-invention (of course! 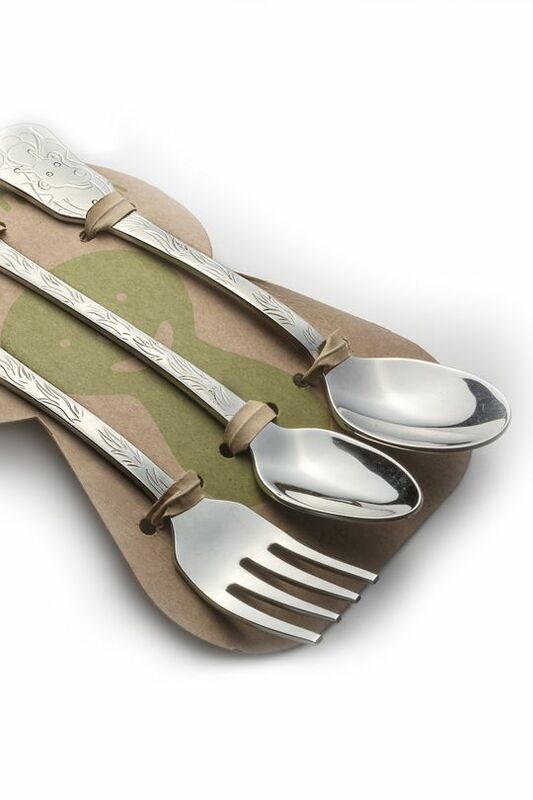 ), this brand sells a range of 100% stainless steel, eco-friendly baby toys and flatware made in the USA. Featuring sweet characters, these toy keys will actually satisfy your child’s desire to chew on your precious metal. (Those plastic versions just don’t fool little ones, do they!) 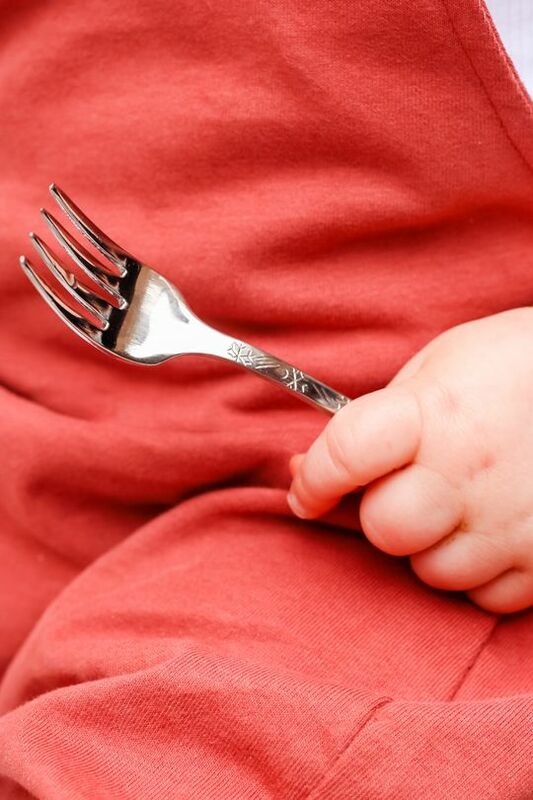 They’re safe and non-toxic, made from food grade stainless steel, they’re perfect in the dishwasher and lots of fun. 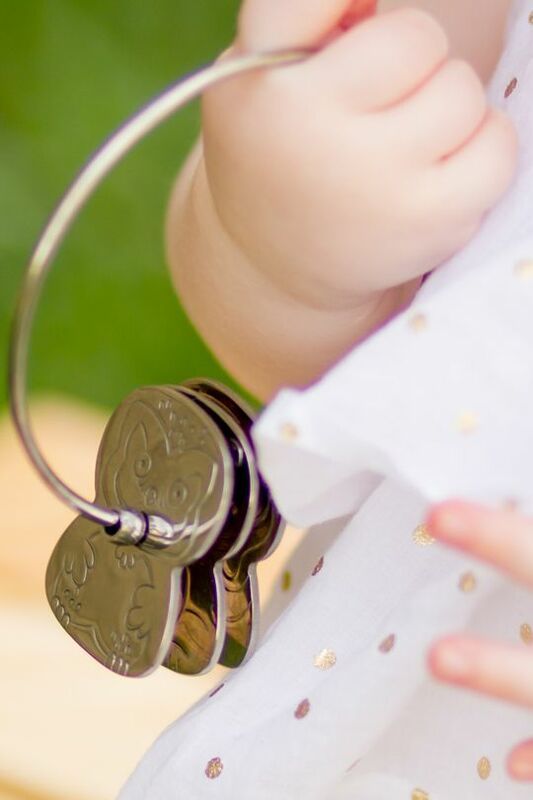 They’re even engravable – making them an ideal gift and a “practical keepsake”. Beautifully crafted, they can be used and used and will still last for generations. Kleynimals is the creation of mama Kirsten, who repeatedly found stainless steel to be the answer when it came to her search for items – e.g. sippy cups - her little one would put in their mouth. Seeing the key issue like every other mama, she realised the solution and Kleynimals were born. 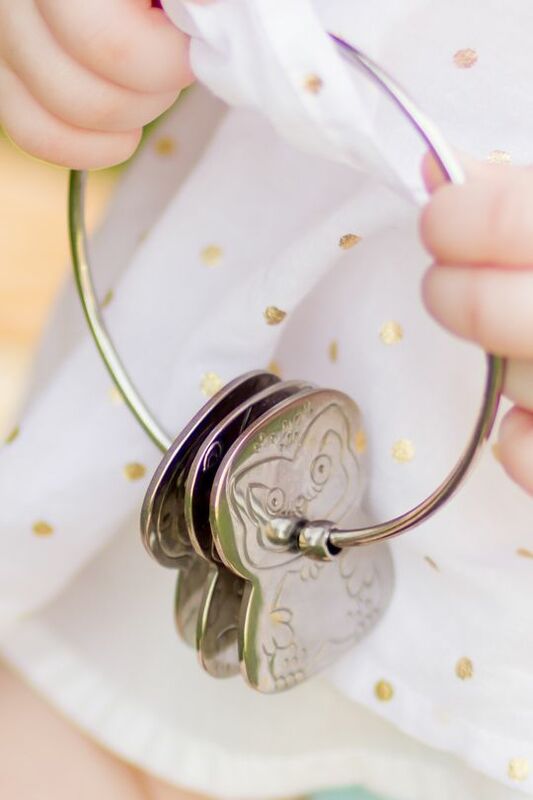 It was a natural progression to take the sweet characters from the keys to a traditional stainless steel product – heirloom-quality cutlery – as well as other toys such as rattles. Each product is environmentally friendly – plastic free and designed to last. 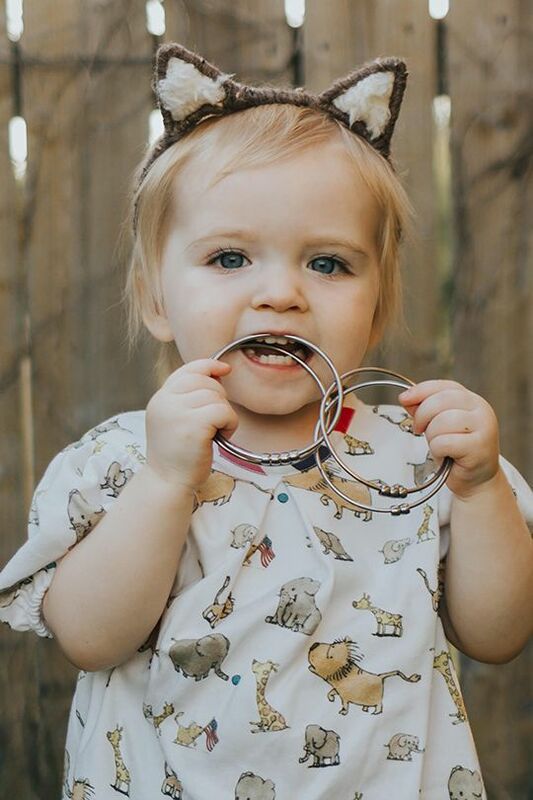 Additionally, alongside solving parental issues, Kirsten is keen that Kleynimals has a positive impact in the world and is proud to focus on social responsibility, starting with manufacturing in the USA (working with the only US stainless steel utensils manufacturing company! ), in addition to supporting non-profit organisations through sales. Please note that Kleynimals now offers free first class shipping internationally!